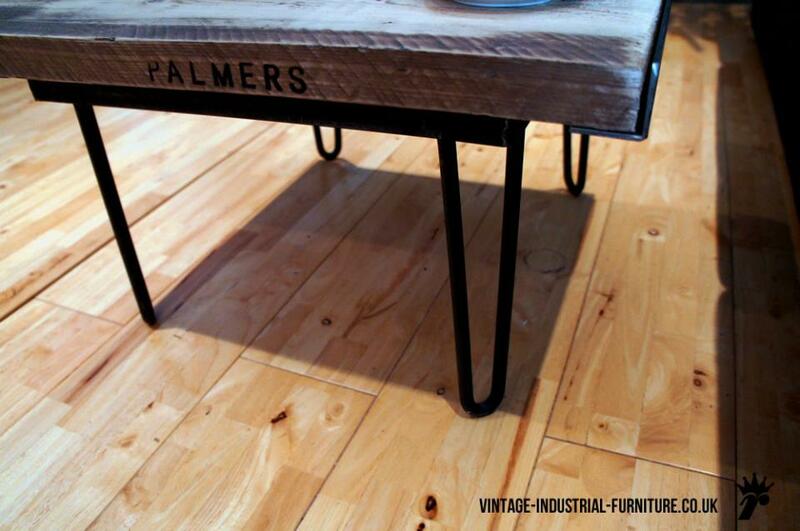 Our hairpin coffee table with hand crafted legs. 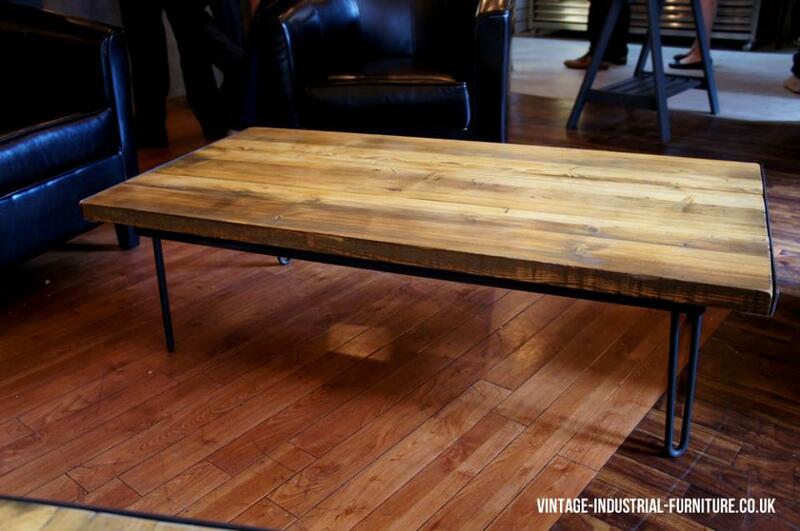 The top is made from reclaimed timber for a wonderful rustic finish. 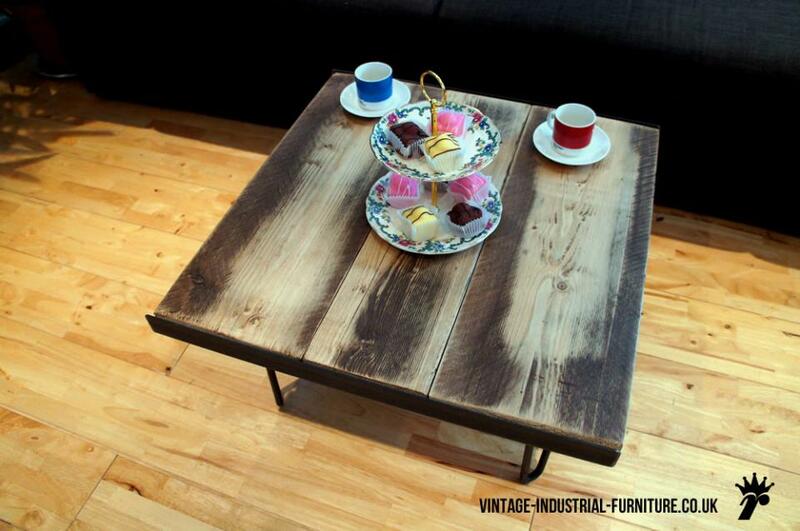 Available to order online in 2 sizes or bespoke sizes by special request. 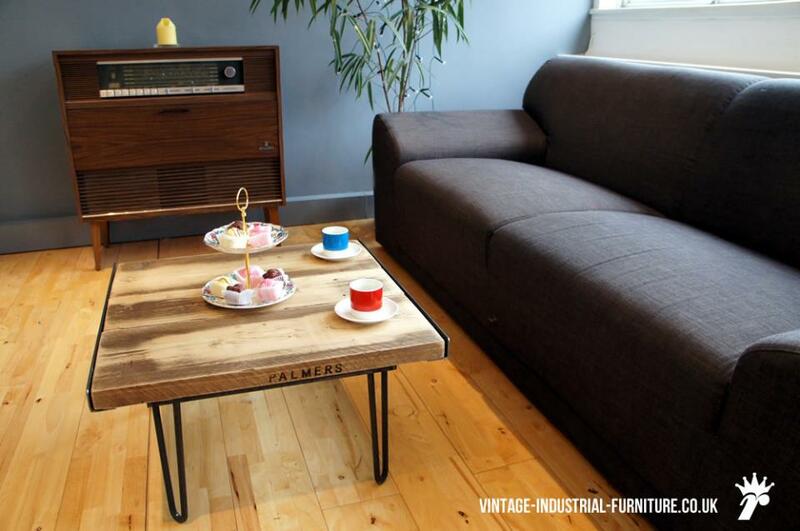 Why not pop into Yorks Bakery Cafe and see the high standard of these hairpin coffee tables for yourself. 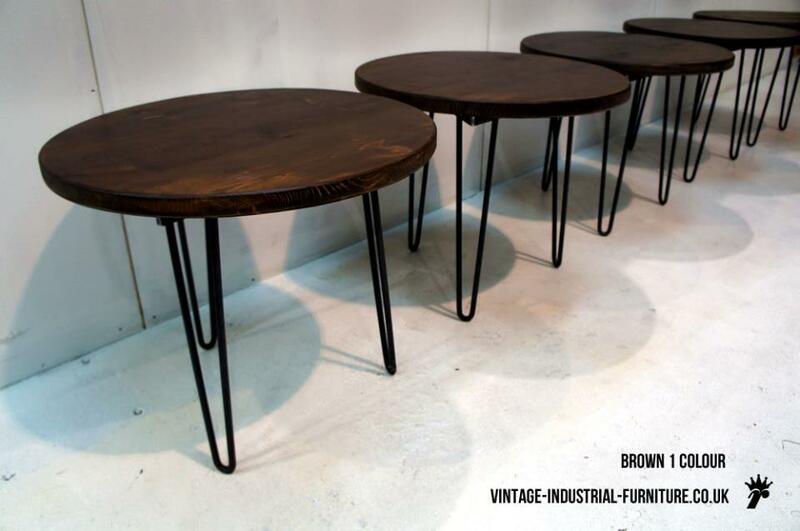 Available in a light or medium brown colour. 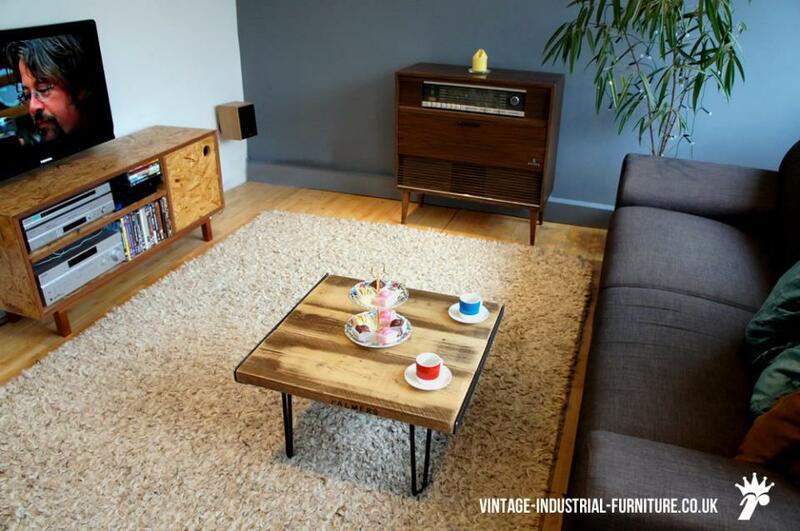 The lighter version is featured on this page. 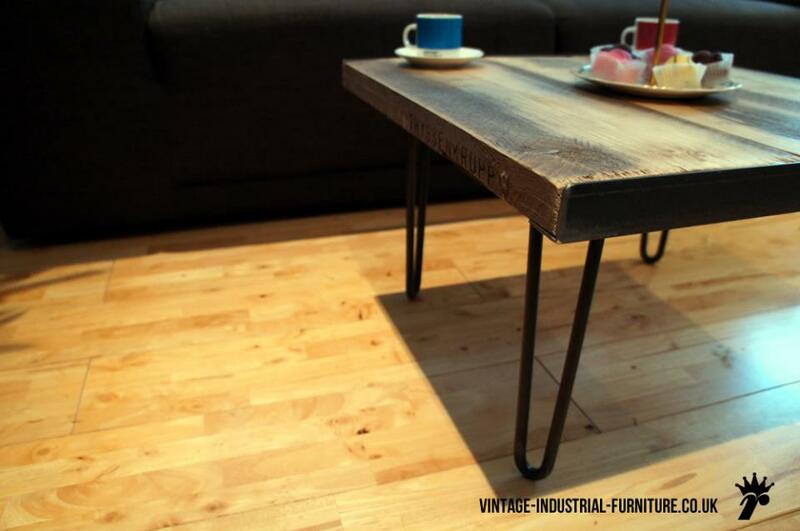 Please see our finishes page for more information about the darker colour. 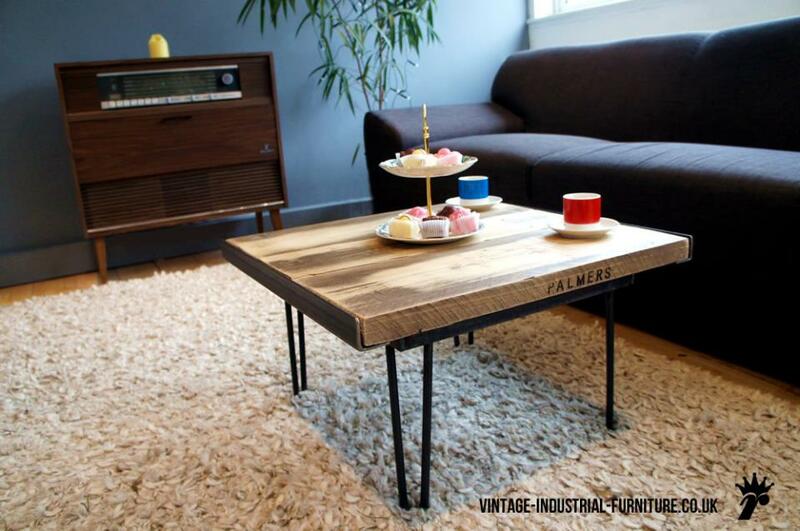 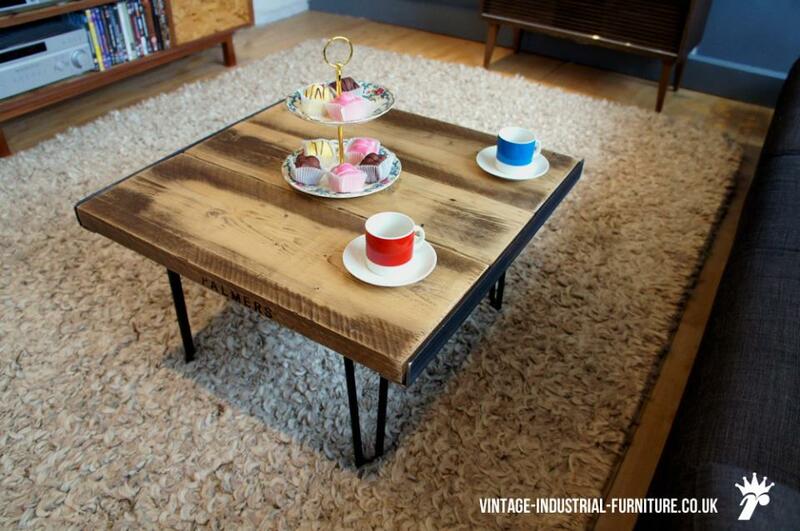 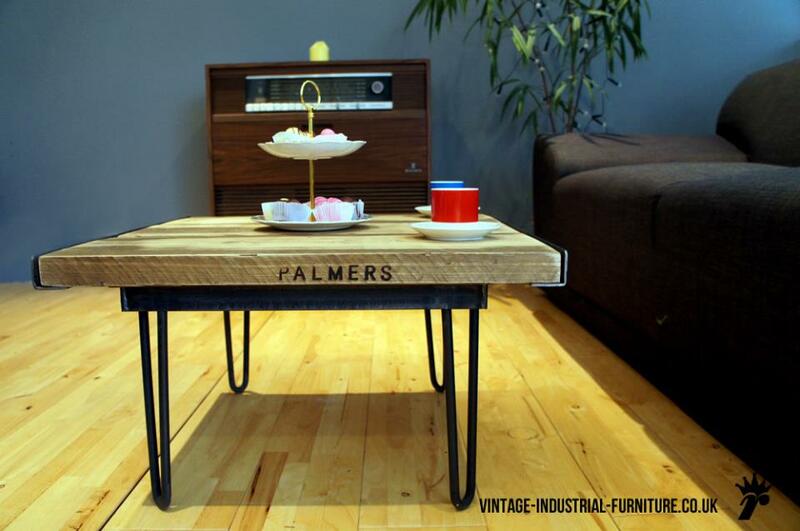 These vintage industrial hairpin coffee tables are made by us at our workshop in Birmingham, England.